There's no time, there's never enough time - to tell you what an astonishingly good week I had last week tutoring my first Arvon course with Sarah Salway! To tell you how much I learned... how much fun we had. I'm off now to the Hawthornden Castle Writers Retreat in Scotland for 4 weeks, with very very very little Internet access (maybe the odd dribble of it) - taking no fiction with me to read at all, a "short story fast" - wish me luck! See you all back here at the end of June, happy writing! I'm off tomorrow to co-tutor an Arvon Foundation short story course together with Sarah Salway at The Hurst, am very excited! 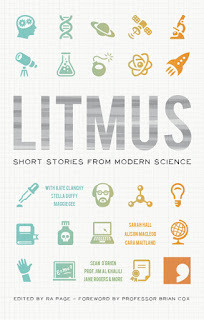 Before I go, I wanted to let you know that Comma Press' second science-inspired fiction anthology, Litmus, will be published on June 2nd, and includes my short story, We Are All Made of Protein But Some of Us Glow More Than Others, with others by Adam Marek, Alison MacLeod, Annie Clarkson, Stella Duffy, Kate Clanchy and more, all specially commissioned.There will be several launch events, so stay tuned! I am delighted to welcome award-winning writer and poet Andrew Oldham to the blog today to talk about his debut poetry collection, the beautifully-titled Ghosts of A Low Moon, published by Belfast press Lapwing. I decided first, as is sometimes my wont, to ask Andrew the questions I have asked writers as part of my writing&place series, mainly because I am very nosy! Welcome, Andrew! Andrew: I cannot be exact. I am always shifting. Where I was is now somewhere new. I have gone from concrete to earth. From grey to green. From valley to moor living. I am in the wilds. I face the north wind and laugh. I am on the moors on top of the Pennines. I am the ancient mariner. A: The moors and the hills have always been in me. Flat landscapes and valley living makes me sick. Makes me sad. I dream of hills. I have always been here. I always will be here. It is not a question of time or life. I am part of the landscape. A: I write fiction, I write poetry, I write journalism, I write about the things I see, the things I hear, the things that have been or could be. A: It affects me. It is in my blood. The Spanish call it duende, we call The North. If you place your ear to the ground you can hear it. T: How did you go about putting this collection together? Did you consciously work on it as a complete entity? A: No, I don't think as a poet putting together a first collection that you can afford to see your first collection as being written as a complete entity. It would mean that I would write the entire collection and then seek to get the individual poems printed in magazines to get a track record of publications behind me. I didn't start writing poetry thinking that I would have a collection, I was just happy to be published in magazines. It would mean I would have to stay true to the contents of that original collection, and I move on as a poet, I would just end up with a manuscript that I would constantly tinker with. During the editing though I did pull threads together in a manner that would pull the collection into a single entity. This meant writing new poems along the more established track record poems. I am now writing a second collection and I am conscious this time of writing within specific themes and forms, with an eye not just for magazines but for poetry publishers as well. Publishers do want you to have a track record in magazines regardless of which collection you're on, it shows a necessary and vital interaction with poetry industry and readers. T: How do you write? A particular place/time? A: I used to write in the mornings and late evenings but since becoming a father I've had to negotiate time between nappies, feeding and toddling. However, rather than killing any creativity as Cyril Connolly said it has sparked it. It has meant that I spend more time with my notebook rather than my laptop because it is faster, easier to carry around and doesn't end up with a small child grabbing it and licking it. Sometimes the old ways are the best and easiest. This means now I build up several early drafts in my notebook before going to a final edit on the laptop. It means that in one afternoon I can go from notebook to laptop in a final edit. Then print out poems, read them, leave them to cool for a month and then edit again. This means I can produce a large quantity of poems in my laptop sessions. The rewarding this is that I can discover poems I forgot I wrote in my notebook. At the moment, I don't write in a specific place. At my old house I wrote on a step near the top of the stairs due to the light and quiet space around it. We moved, again down to fatherhood and a desire to go back to my rural roots. I have selected a space in the orchard behind our house which will be the home of my office and has wonderful views over the orchard and the hills beyond. I like the quiet there. T: What inspires you as a poet? A: Poets I read do have an impact on my writing, a few poets I enjoy reading are, Ruthven Todd, Wallace Stevens, Carlos Williams, Tom Raworth and T.S. Eliot to name a few. Though Eliot is seen as deeply unfashionable by some of my contemporaries, such was his dominance of the twentieth century, many poets I know have turned their backs on him. I think it is a shame to turn away from any poetry, fiction or non-fiction. There is so much to read and so little time! There are poets I know who I talk with on a regular basis and the conversations we have do have an influence on my reading if not necessarily on my writing. I know in Ghosts of a Low Moon that the major influences were the road trips I went on around the UK and USA, that the people I met and the stories they told me came through on the page time after time. I can't pin it down more than that as it would become a fruitless journey, inspiration is so fleeting, a sense rather than an act of logic. Logic tends to boil things down to mechanics rather than senses. That would be a dangerous journey to take. Thank you so much, Andrew. To leave you with a little more inspiration, Andrew has kindly allowed me to reprint one of the poems from his collection, Geometry, a title sure to appeal to me! The blackboard is full of size, shape and lengths. the circumference of my forefinger and thumb. She looks under the table at my shoes, turns red. the empty round circle hangs in the air between us. polished and matt, one set bare, one set in tights. Thanks so much for stopping by, Andrew. 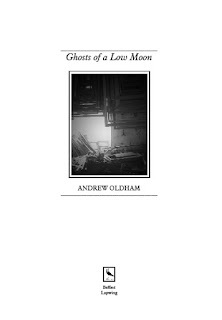 You can buy Ghosts of a Low Moon from Lapwing and find out more about Andrew on his website. There's nothing greater than being able to congratulate my smart and talented friends, and there's a lot today! First, the wonderful Lauri Kubuitsile is shortlisted for the highly prestigious Caine Prize for African Writing for her short story “In the spirit of McPhineas Lata” from The Bed Book of Short Stories published by Modjaji Books! Winner announced in July, fingers crossed, Lauri! 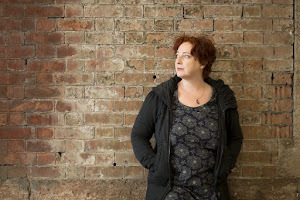 Second - huge congratulations to Andrea Ashworth and Jon Pinnock who, along with Cassandra Parkin, are the three winners of this year's Salt Publishing Scott Prize for debut short story collections. Their collections will be published in November, the UK's National Short Story Week. Can't wait to read them! Addendum: Third lot of congratulations, to Tom Vowler, whose collection, The Method, has been shortlisted for the Edge Hill Short Story Prize, alongside collections from Helen Simpson, Polly Samson,Graham Mort and Michele Roberts. Winner announced in July. Read my interview with Tom here. Following up on my earlier post about the Fiction Writers Review's idea to celebrate Short Story Month by giving away a short story collection, here is the collection I am giving away -to one lucky person who comments on this blog post, picked at random after May 31st! And here is the review of the book that I wrote for The Short Review in 2008. Reading Roy Kesey's collection made me happy. Re-reading it soon after made me even happier. This is not because Kesey's stories are hopeful or optimistic. It is because this is a writer so clearly in love with language and rhythm that it is a delight to experience what he does with words – both those we are familiar with and those I suspect he invented. 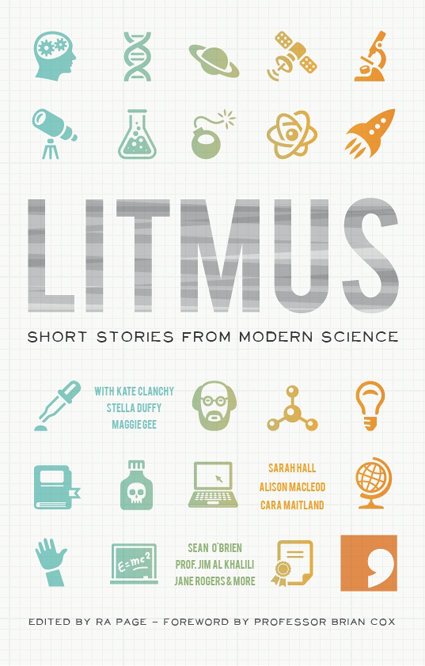 The 19 stories range in length from one to ten pages. 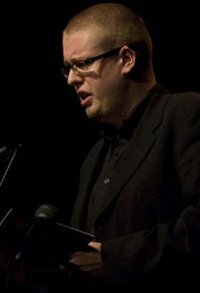 Several were previously published in literary magazines such as McSweeney's and Opium, publications with a reputation for clever, sharp, irreverent writing. While Kesey's work does fit this description, this is not cleverness for the sake of it. In almost all the stories, even those that on the surface appear utterly absurd, he is unearthing the complexities of our world, the messes we make of it, and the small moments of joy. This is no easy book; Kesey's reader is required to work hard. He strips down to the essentials; there are few names or places here, anything that might anchor us. There were several stories that, however hard I worked at them, I couldn't squeeze any meaning from at all. This doesn't mean I didn't enjoy the wordplay and the flow of language, I just had no idea what I was supposed to understand here. But the struggle to make sense of the worlds he has created is well worth the effort, though, because most of the stories give and carry on giving on each subsequent reading. In Fontanel, a story I found very moving, what we presume is a fertility doctor or gynaecologist is describing to an unidentified listener the collage of pictures he creates for each and every birth. As he talks about each picture, we slowly realise all is not what it seems. This “collage” contains images not only of the couple about to give birth, their first child, the wife's mother , but “the gas station attendant who is friendly and serviceable and pretends not to notice the wife's screams”, “the taxi driver scrubbing the back seat of his taxi”, “the aneastheologist, resting for a moment in the break room, imagining new sorts of pain”. Wait begins as the ordinary story of a flight delayed due to fog. The omniscient narrator pans across the departure lounge, dipping in and out of passengers' thoughts. The language throws out clues that here, too, we are not in reality is we know it: “Airline personnel daydream of islands, and speak urgently into handheld radios though this is only for show: the batteries have been on backorder for years”. As the hours pass, disasters accumulate, the passengers form alliances and organize distractions, until the entire situation crumbles. Kesey's stories often begin with some semblance of order and then descend into chaos, but the endings are by no means uniformly hopeless: they manage to satisfy while also, in many cases, being suprising or shocking. Kesey's characters sometimes get what they want, but not in the way they - or we - may have predicted. There is an allusion to war or some other, larger event in many of the stories, as if to remind reader and protagonists alike that, although we may imagine we are in control, there is always something greater than us. All Over is the first release from Dzanc Books, a non-profit small press whose stated aim is to “to advance great writing and champion those writers who don't fit neatly into the marketing niches of for-profit presses”. With this book, they have set themselves a high standard. This is an astonishing debut collection by a writer who deftly uses language, rendering it both spare and rich, sentences and paragraphs reverberating long after the book has been put down. Kesey's keen eye slices through pretence and artifice and although we may not always comprehend his writings on the surface, in our bones we know what he writes are truths. This collection had a profound effect on my writing. Tell me why you should be the one to win it...!